Daniel Stowe Botanical Garden (DSBG) will be swarming with Big Bugs beginning Oct. 2 when Dave Rogers' Big Bugs exhibit makes its first visit to the Carolinas. The exhibit is a unique collection of gigantic bentwood insect sculptures that look like monster-size versions of their real counterparts. 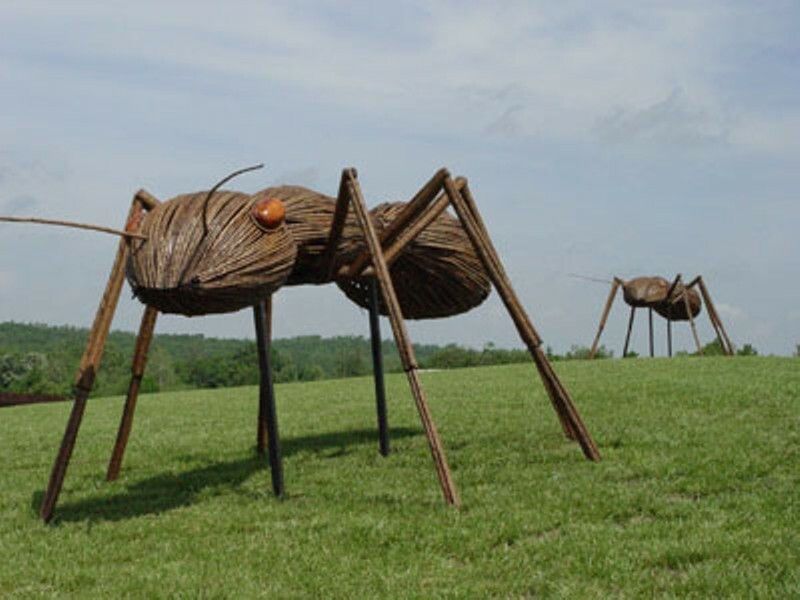 The wood sculptures include an 11-foot grasshopper, a dragonfly with 17-foot wingspan, a 10-foot damselfly, a seven-foot assassin bug, a seven-foot ladybug, an 18-foot praying mantis, a family of ants (each 25 feet long and 10 feet high), and a 20-foot spider complete with web. DSBG is open seven days a week from 9am-5pm. Admission is free to members, $4-8 for other guests. For more information, visit www.dsbg.org or call 704-825-4490.